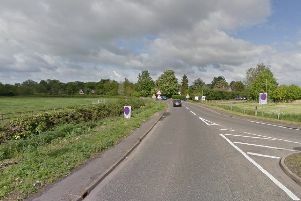 The B1172 Spalding Common was closed this evening following a road collision. Lincolnshire Fire and Rescue released two male casualties from one car and a female casualty from another car. All three were then left in the care of ambulance crews.